If you’re a budding gardener and you would like to get involved in the new Burrs Gardening Club then please email and let the group know burrsgardengroup@yahoo.com. They will meet on Tuesday afternoons. The Friends of Burrs are organising a Litter Pick to smarten up our Burrs Country Park for the Spring and would like to invite you all to take part. The group will meet up at the Wheel Sculpture car park at 2.00pm on Sunday 10th March and then split up into groups to tackle different areas. They will finish at 3.30pm at the Council barn on Stocks Street. Anyone volunteering to take part should wear suitable clothing and footwear – gardening gloves would be a good too. If you have a picker, please bring it with you but they do have spares you can borrow. They will supply the rubbish bags. We are delighted to announce that the Friends of Burrs were awarded £1000 for the Gardening Project at The Pitch event and we look forward to seeing what happens when they get the project up and running! Other winners included Borough of Bury Veterans Association, Bury2gether, Elton Cricket Club, St Stephen’s Community Drama, People’s Voice Brandleholme Community Group, Bolton Road Methodist Church Fun Day, Fusilier Court Garden Committee, Ellton All Saints Operatic Society, Fusilier Court Residents Association and Fusilier Court Social Activies Committee. Please see details of The Pitch – Bury West Community Funding Event below. Do go along and find out about the fantastic work that volunteer groups are doing in Bury West and then vote for your favourite. Just a little reminder of some of the activities that take place at Burrs Country Park in Bury. If you like the water, take a look at http://www.burycanoekayakclub.co.uk/ based at Burrs. You can get in touch with them anytime and in the Summer months they meet from 4.30pm onwards on a Sunday evening on the training pond or the River Irwell. The training pond is due some improvements soon too, so we’ll keep you updated on how that goes. Burrs. Here’s to another 10! Some really significant progress has been made by Friends of Burrs Country Park last week. They are now a fully constituted group! This means that they are able to apply for funding to help tackle some of the priorities the users of Burrs have identified as issues. Priorities such as improving footpaths and making the most of the heritage there. Well done to everyone who signed up to a role. The group really has come a long way from 4 members to over 40 at the last meeting. Let’s keep the momentum going! The 2nd session will be led by the Bury Voluntary Rangers. Please wear long trousers, long sleeved tops and sturdy shoes as you may be working amongst nettles. Gloves are available, or you may wish to bring your own. A lovely walk in Burrs, followed by tea and gorgeous chocolate cake at The Lamppost Cafe. Such a brilliant addition to Burrs, do pop in if you get the chance. You can sit in the sun, or get some shade inside. Dogs are welcome too – with plenty of cold water bowls available to cool pups down on a hot day. Looking forward to going back and trying more of the menu – not just the cakes! Look out for the new ‘Friends of Burrs’ Logo! Just a quick update from Project Z Parkour. They run an increasingly popular parkour session at Burrs Country Park which we thought we would share with you. Congratulations to all the volunteers taking part in the huge litter-pick at Burrs Country Park. Their hard work has given the park a wonderful spring clean, and it’s also got them a well deserved mention in the Bury Times! Friends of Burrs Country and Brandlesholme Residents Association are holding a litter pick on Burrs tomorrow – Sunday 15th April. All volunteers are welcome. Please meet at the car park by the wheel sculpture at 2pm. Please click here for more details. Hi there as discussed at the last meeting group members have took it on themselves to create a Facebook page called Friends of Burrs Country Park – please see further info below. Thumbs up! As someone who has shown an interest in Burrs Country Park, I thought you would like to know that I have set up a Facebook page called Friends of Burrs Country Park to get people who are interested in the future of Burrs together. We are a group of local residents and park users who want to help improve Burrs. Please join us and help to make Burrs a beautiful space and an attractive place for people to visit. Please visit the page and join us. Hi all – hows it going? Just keeping you up to date on progress with the Heritage Lottery Resilient Fund. The bid is now submitted! We did this just before the meeting on the 15.03.18. Cross everything you have and watch this space for an update in around 10 weeks. Following the Expression Of Interest we submitted earlier this month we visited Heritage Lottery Fund offices to discuss ideas for Burrs Countryside Park further. The meeting with Louise and Sophie was really quite positive and we have come away with a better idea of how we should shape the final submission. Of course we will be meeting you all again over the next month or two to share in more detail but please don’t hesitate to get in touch if you have any uestions in the meantime. Thanks. Here is a link to the strategy if you would like to find out more. Great insight to the Irwell Sculpture trail – some very impressive pieces! I am really excited about this project and as Friend of Burrs very keen to be involved. 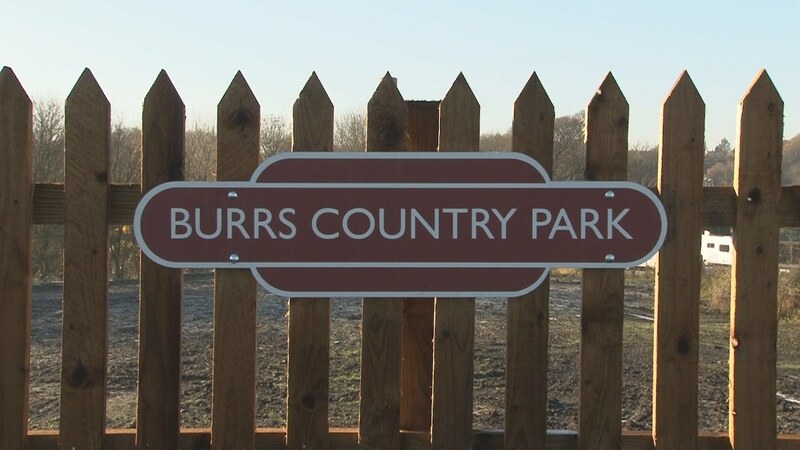 The Burrs Country Park is an asset to the Borough, and has huge potential for further development into a relaxed recreational facility, and as a provider of a rural experience for the local communities. The potential for different reasons to visit is expansive, and deserves a wider audience. I wish you well with the project, and look forward to seeing the various schemes through development and implementation. Burrs country park is a wonderful site of great interest to local people. It has heritage interest in the industrial remains, green spaces for leisure and relaxation and an abundance of wildlife. Not forgetting the River Irwell running through. Visit! Burrs is a fantastic asset to the community of Bury and needs to be supported. Power to your elbow. My grandchildren love coming to the park and have enjoyed themselves in the park. May I suggest that the bin for collecting dog waste by the side of the path from Bury towards Burrs is made vandal proof. The same comment applies to the Krypton Factor next to the Caravan Park at Burrs where vandalism to the fence is now permitting dogs to foul the area where the children go. I applaud the ‘Pirate’ treasure hunt in the school holidays and would welcome any other holiday activities for children. Burrs is a really lovely country park and has been a great addition tothe local country facilities in and around Bury. I fully support any scheme that continues to develop this wonderful area. A very worthwhile project. I hope that funding will be forthcoming to support this excellent endeavour . I am in full support of improvements to Burrs country park and the surrounding areas. As Group Scout Leader for St.Anne’s Scout Group, Tottington our Group regularly uses Burrs area for various activities and would benefit and support any improvement. I live within a few minutes walk to Burrs and I already join fellow Residents Assoc. Members litter picking. I would be interested in being involved in the project. Please email me with details and I will get in touch. Having seen many changes (mostly all for the better) at Burrs over the 40 plus years I have lived in the area, I am excited about the latest developments and will watch their progress with interest. There is great potential to increase Burrs Country Park’s usefulness as a recreational, heritage and wildlife site. I would like updates please of progress. Sounds like a well needed project for our area and country park. Perhaps more for the children?? The Burrs is a good place to visit and relax in the countryside whilst only being a few minutes from the centre of Bury. It needs some added facilities (such as toilets) to make it even more attractive to visitors. So I welcome this initiative. Burrs Country Park is Bury’s hidden gem. Since coming to live in Bury in 1988 I have seen a great change in Burrs from an overgrown valley to a beautiful park now used by a wider general public. The opening of the ELR holt marked a new era for Burrs and with Heritage funding it will become , not only a fantastic place for local inhabitants but also benefiting the whole region. I have set up the Friends of Burrs Country Park Facebook page to get people who are interested in the future of Burrs together. Please visit the page and hopefully join us. Burrs……what an oasis of activities and nature! An absolute gem for not only the local community, but many visitors from all over the country! Burrs…..what an oasis of activities and nature. An absolute gem for not only the local community but many people who come yo visit from literally the whole country ! So much has been done over the years; a lovely place to bring the grandchildren; but there are still areas that could be improved. Please keep me updated. As a local resident, Burrs in a valued amenity for my family. Clearly there are concerns about maintenance of the area particularly the paths which are often in poor condition.I support this project. A beautiful place that must be preserved and maintained for future generations. Having watched Burrs Country Park Develop over the last 25 years, it is great to see what improvements/developments are planned for it’s future. The park is a great asset to Bury and attracts a tremendous number of people from outside the area, not least through the Caravan Club Site and now the new ELR Halt and the Sculpture Trail. We are fortunate to live near this delightful Park and be part of it’s future. Been down Burrs today biggest problems the paths need sorting out big puddles and very muddy in places and the paths r going narrower with foolige. Fabulous idea. Initiative gets my support. I am a local childminder and use the country park regularly with the children that I care for. I could spend all day in Burrs Country park but toilets for the public are very much needed to allow this to happen. Currently out visits have to be cut short. It has also been a shame to see many of the features such as the pond dipping pond left to its own devices ( an area I used to use with the children). This year it is so badly overgrown unless you knew it was there there could be an accident!! Despite the complaints, I love the place and am thankful that I live so close to a place of such beauty. I love the burrs but would like some calisthenic exercise equipment , such as monkey bars . There are a lot of boot camps and running clubs using the burrs and it would enhance that. Burrs Coutry Park is a brilliant place but it needs a lot of money spending on it to bring it up to scratch. Primarily toiltets are needed. I hope this grant bid will be successful. Burrs is lovely and we are so lucky to have on our doorstep. Closing the Activity Centre seems a huge own goal. Many, many local children have benefitted from this andit has been wonderful to see children and adults enjoying the canoeing and abseiling activities. The cafe could have done with development, toilets are badly needed and the loss of the Ranger service impacted badly. I do think more could be made of the local history of the area. I had family working and living in Burrs in the mid 1800s, it would be wonderful to see more information and education on the lives of these people who worked in these, now lost, industries. Burrs is full of potential but please don’t let us lose the good parts that have built up over the years.